One of the keys to becoming a professional and successful hacker is to think creatively. There is always a way to get into any network or system, if you think creatively. In previous tutorials, I have demonstrated ways to crack passwords on both Linux and Windows systems, but in this case, I will show you a way to get the sysadmin password by intercepting it from a Remote Desktop session. 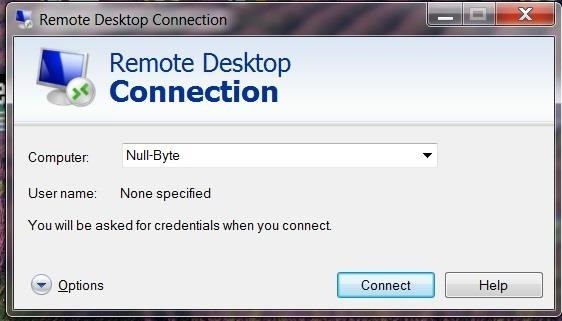 As you know, RDP, better known as Remote Desktop Protocol, is a protocol that enables a sysadmin or tech support staff to take control of the end user's system to help or troubleshoot some issue or problem. 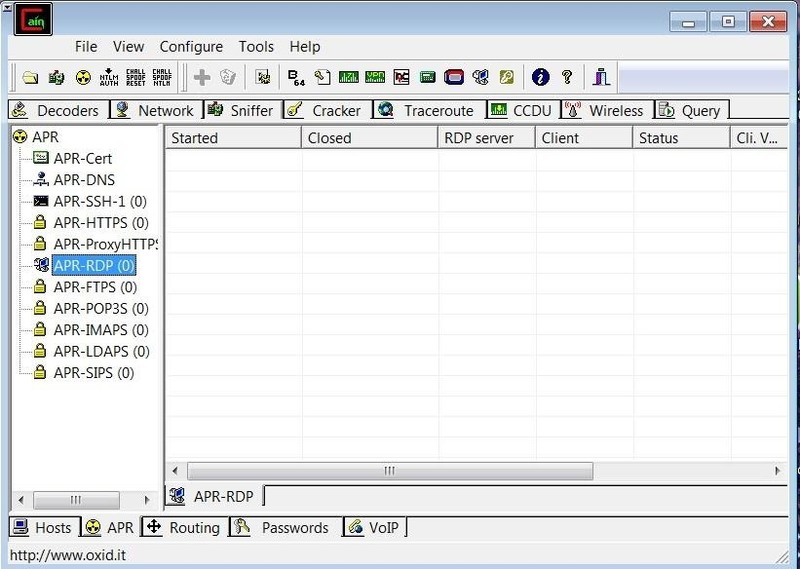 When implemented correctly, interception of RDP traffic is difficult, but few companies implement it correctly. In fact, I have found that in MOST companies, RDP is vulnerable to the following attack, so pay close attention here as this attack is rather complex and requires your close attention and patience. 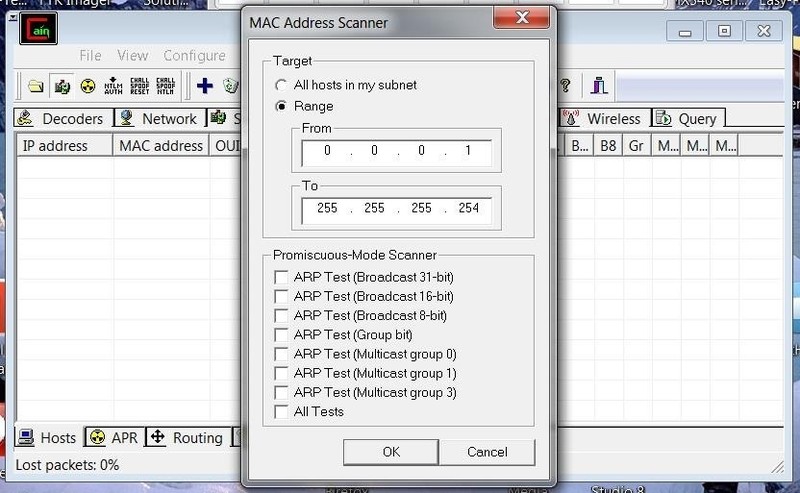 Note: We will be using Cain and Abel to conduct this MitM attack, so without a CACE Technologies proprietary wireless adapter, this attack will only work on a wired network. First, we need a system with RDP enabled. If you are using this in your lab, enable one Windows machine's RDP server. Go to Control Panel then System and Security. 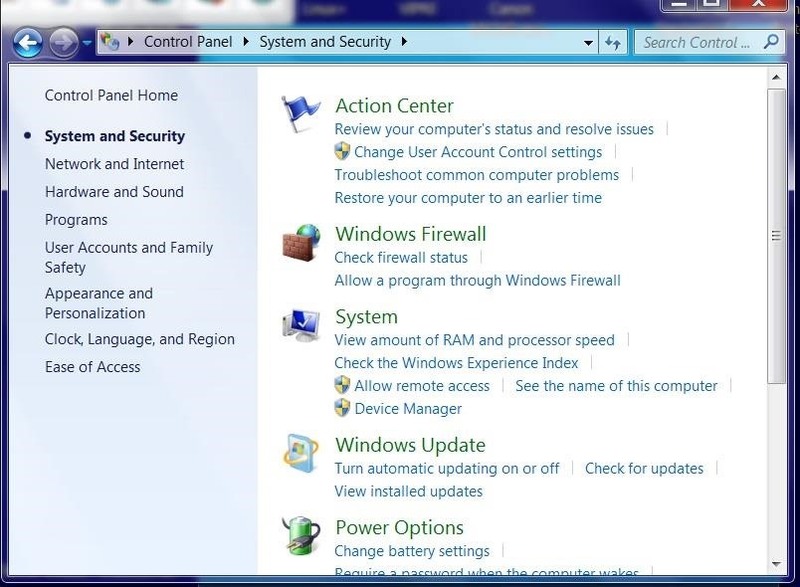 Below the System section, you will see "Allow remote access". Click there. 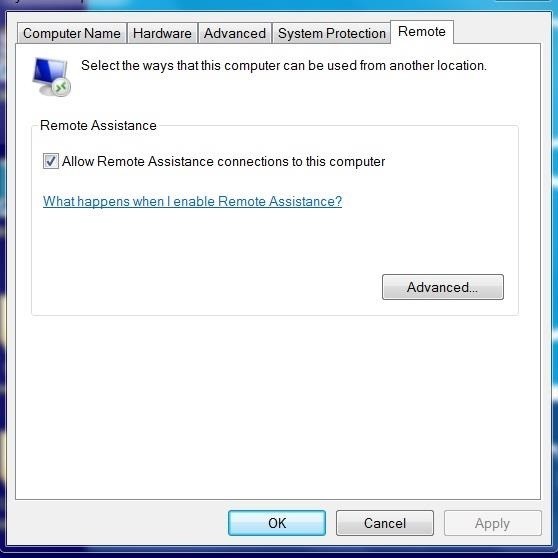 Next, click on the "Allow Remote Assistance connections to this computer" and click "Apply." Next, now that know all the machines, IP addresses and MAC addresses on the network from the ARP scan, we are in a position to be able to poison the ARP. We poison the ARP so that our attack system sits between the RDP server and the RDP client. In this way, all of either machine's traffic must travel through our attack machine. Click on the Sniffer button on Cain, then select the Sniffer tab, then select the Hosts tab at the bottom, then click on the blue + on the top menu, select the Radio button, select the target IP range, and click OK. Ideally, we want the sysadmin password for RDP. If we can find the sysadmin password for RDP, we will likely be able to use RDP on any of the network's machines as usually the sysadmin will set up RDP with the same password on every system for convenience. Even better, many sysadmin use the same password to remote into client machines as they use on their system and other accounts. This means that when we capture this password we may own the entire domain and network! To find any keys pressed in the hexadecimal file capture, use the Find feature in Notepad to search for "key pressed". This will find each of the keystrokes, one-by-one, of any keystrokes entered by the sysadmin including their password. This is tedious work, but you will be rewarded with a pot-of-gold for your patience! Keep coming back my budding hackers as we continue to explore the wonderful world of hacking! RDP is in wide use within the corporate environments to enable tech support to end users. "When implemented correctly, interception of RDP traffic is difficult, but few companies implement it correctly." So how about telling us how to implement this correctly? I may write a tutorial on how implement RDP properly in the future, but my focus is on how to hack here and I have SO many tutorials I want to write in the near future. Is there a one sentence way to describe how to fix it? Is using NLA enough? The answer to both your questions is "no". Could Ettercap also be used the same way instead of C&A? 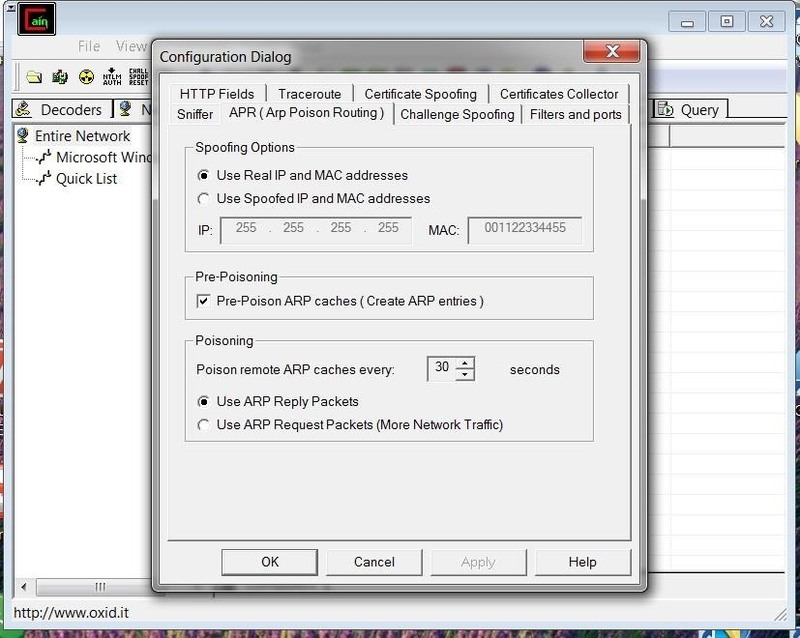 Does it work, when client is using rdp over VPN from his home PC to his work PC? 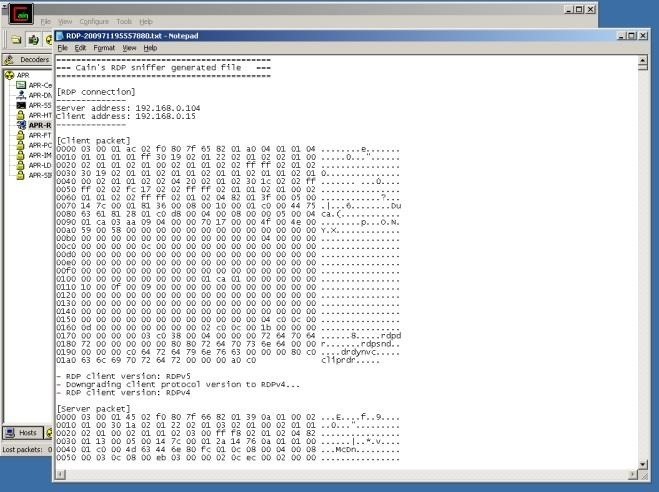 First, welcome to Null Byte! Second, if the client is using the RDP you will not get the sysadmin password. 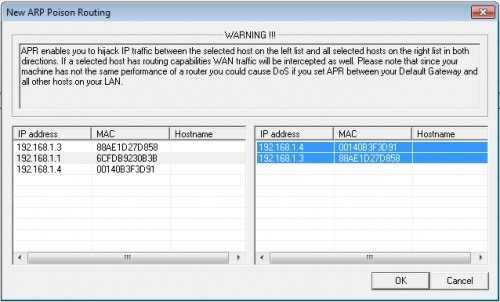 Third, this technique using ARP spoofing, so you would need to be on the same LAN. I am on the same LAN, I have access to organization network .this is the condition. can I hijack RDP session? If yes, should I be in the middle of employee work PC and default gateway? if not which position should I take? can we use it for public ip numbers?